This week is Bike Week, a mass-participation cycling event taking place across the UK. Cycling to work is a great way for your staff to commute. Research suggests that it also boosts staff productivity, as those who cycle to work are brighter, healthier and more productive than those who drive or travel by bus, train or tube. Businesses are being encouraged to urge their employees to get on their bikes to cut down on pollution, save money and boost fitness. This week is Bike Week, a mass-participation cycling event taking place across the UK. And companies throughout the country are asking staff to get back in the saddle and cycle to work to mark the occasion. Last year nearly 500,000 people took part in Bike Week and it is hoped even more will get involved in events this year. Cycling to work is a great way for your staff to commute. It has many advantages: they can travel from door-to-door and it is clean, healthy, efficient and cost-effective. Research suggests that cycling also boosts staff productivity, as those who cycle to work are brighter, healthier and more productive than those who drive or travel by bus, train or tube. You could offer an incentive to staff who cycle to work on a particular day. For example, you could organise breakfast as a reward for employees after their cycle ride to the office. Or you could encourage workers who already cycle to work to team up with their colleagues and show them the best ways to get to the workplace by bike. You could also arrange an event. Organising a sponsored cycling event could be a good way to unite your team and help them get motivated and healthy at the same time as raising money for a charity. At Bizspace we choose a charity which we support each year. This year we are raising money for the Alzheimer’s Society, which rents office space at our Shipley Business Centre. As well as saving money on fuel, cycling reduces the amount of money people need to spend on parking fees and the amount of space businesses need to provide for staff parking. For example, the pharmaceutical giant GlaxoSmithKline estimates that every employee who doesn’t need a car parking space saves them £9,900. A poll of the GSK House Cycling Group found almost three-quarters of those who cycle felt it made them more productive and more motivated. Some companies are even using cycling to reduce overheads. 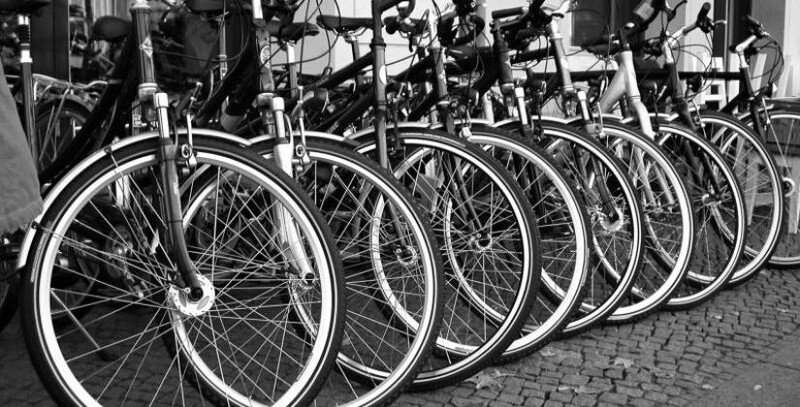 By encouraging staff to carry out their business travel by bike, this reduces employee travel expenses, as well as cutting carbon emissions. One way of boosting the amount of business travel done by cycling is to provide pool bikes for staff to use. These could be stored at your business centre for use by staff who may have a lengthy commute to the office. What is your business doing to promote cycling? Let us know by leaving a comment on Facebook or Twitter.